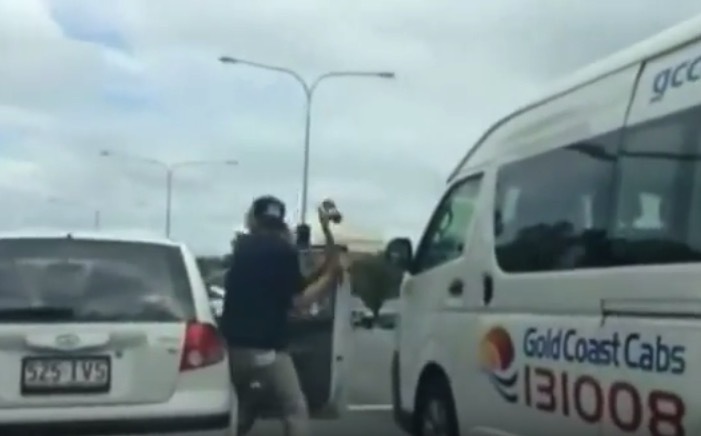 Horrified witnesses caught on camera footage of a man with a skateboard attacking the driver of a car stopped at a traffic light in Bundall, Australia. The fight spilled on to the road, with both men throwing punches, leaving them both badly bleeding. The driver returned to his car before the other man walked up and smashed the car’s taillight. Police say they have charged a 24-year-old Bundall man with affray following the incident. They say it will be alleged that the man assaulted a 50-year-old man at the intersection of Bundall Road and Thomas Drive Southport, near the Chevron Island Bridge. That’s a deadly weapon. In Canada you hit someone with your skateboard you will do time.